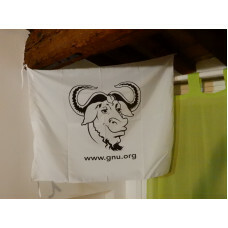 Wave your love for software freedom with this marine grade flag featuring the GNU logo! 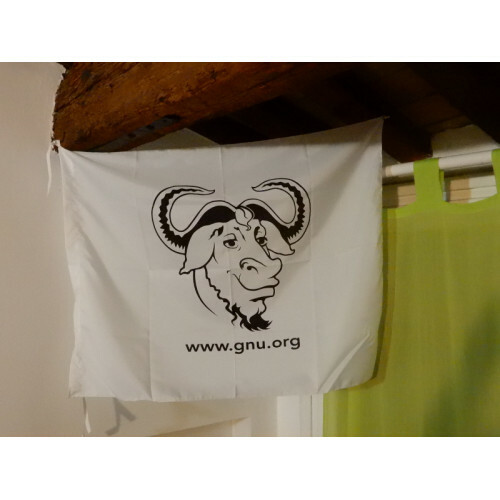 Check out the Specification tab for detailed information about the GNU flag. GNU is the operating system that respects user's freedoms to use, study, copy and distribute its software. Started in 1983 by Richard Stallman, GNU is the first and main implementation of the free software philosophy. Technoethical is proud to be among the supporters of the GNU Project and the Free Software Foundation, and is recognized for its contributions in the Thank GNUs 2018, LibrePlanet 2018 Sponsors and LibrePlanet 2017 Sponsors pages. We mention the donations we make to fully free system projects in this page.